Here’s a shocker: I started blogging ten years ago today. Ten years! And now, a gazillion posts and one cookbook later, I’m ready to hang up my hat. Maybe I’ll retire to Florida and take up golfing. Maybe I’ll sit on a park bench and yell at the clouds. I’ll keep blogging until I’m too old to blog. And even then I won’t stop blogging. Of course, I wouldn’t have a blog if it weren’t for YOU. Thank you for reading the posts and watching the videos on this site. Thank you for encouraging me to write my first-ever cookbook. Thank you for shedding tears with me when Lily the Beagle passed away. Happy Day to you, Kevin! You have given me so many smiles and happiness through your blog. I thank you for all that you are. Hi Sherri – Yes, the best part of sharing! Hi Anne – You are too kind. Thank you! You always make me feel good !!!!!! 10 years! Thank you, congratulations and happy anniversary! I have enjoyed your blog Kevin. I made some of the recipes, used some of the garden tips and bought some of the products you recommended. All have been great. So, you keep blogging and I’ll keep reading. Happy anniversary! WOW Happy Anniversary and many many more! So glad life and my friend led me to you. Your recipes and techniques are always well explained and foolproof. I have recommended you to so many of my friends. Keep on keeping on and no scaring us with thoughts of hanging up your hat. Although I cannot imagine you mussing your hair with a hat. Happy Anniversary ~ 10 years blogging is incredible! Congratulations. Reading your blog has gotten me through years of the doldrums of teaching. It has allowed me to escape through your recipes like zucchini fritters and cream scones. I too have tulips being forced on my back porch sun room. I know how to mix up weed killer and my boxwood bushes look wonderful. Don’t ever think about quitting. I am always looking forward to your next blog. You inspire me to be better. Warm wishes for the next decade of blogging. Happy Anniversay. I made your onions tonight, modified a bit because I only did a couple but I intend to do the whole 3# as in your recipe. We love onions. In the HAPPY SPRING photo above is that your property NOW? We still have snow where we are in Michigan but it is going down. A cold & snowy winter we had. What a fantastic achievement. I love everything you write about and am totally addicted to your Roasted Butternut Squash Soup and Carrot Ginger Orange Soup. Also love the Make ahead Spinach and Cheese Strata, Classic Tomato Pie, Parsley and Parmesan Bread, and sooo much more. So glad you are continuing on and having fun. Just want to say it here too… So many of my favorite recipes are yours, Kevin. So appreciative. Been enjoying you for years. Love Avery…and still sad about Lily. Thank you for doing what you do! Congratulations! Thanks for all your fabulous inspirations ! I am a day late but Happy Blogiversary! You are loved, revered and followed by so many. Thank you for all the tips, insights and recipes! But most of all, thank you letting us share your adventures thru our blog. Still my favorite blog! Happy 10th anniversary. Congratulations! Your blog is always so upbeat and interesting. Thank you for the past and future messages! Best to you dear man. OH, Kevin – you are the BEST at sharing all you know and I so enjoy all of your blogs!!! Thanks so much! It was a happy day when I discovered your blog. Thanks – and thanks for your lovely cookbook as well. I love reading and using cookbooks and yours is one of the nicest. Enjoy a mini vacation and keep on blogging. How can that be! 10 years, really?, it seems like yesterday. Congratulations Kevin, I can’t express the joy your posts give to me, my work , and our family. I hope you had a glass or two of your favorite perhaps one of those fantastic lemon bars!! Enjoy your Sunday, you deserve it! Congratulations and many more years of blogging. I have shared your website with my friends. Your recipes are lovely and even I can make them. You have no idea how many of your videos I watch when I’m at a loss as to what to make that is simple, easy and delicious! Thank you for coming into our lives with your lovely smile and personal warmth! Thanks for the memories, munchies (of all kinds), and moments in your beautiful garden. You are a unique gem – shine on! The best is yet to come! Please do keep blogging. Awesome Blog, amazing recipes and a warm homey feeling every time I open up your page. Thanks and cheers to ten more years! Hi Kevin, Congratulations on your anniversary and wishing you many many more. I love your recipes and from my apartment in Paris without a yard in the 9th, I live vicariously through you while you do wonders in your garden. Thank you and please keep on doing all of those great things you do. You just scared my breath outta me! Thought for a bitty second that you were really leaving. Gasping here, still. Puff, puff, puff. Whew. 🙂 Congratulations on your success. You are such a delight and bring so much joy. Thanks for sharing your goofball delightful beautiful world. Happy Anniversary, Kevin! Thank you for bringing wisdom, humor, good food, beautiful gardens, and amazing advice to us every day. Wishing you many more! You have always brightened up my day. Love all the info I have found on your websit and blog. Always a breath of new info., Sunday morning in Manitoba Canada would never be the same in my little home. Love you. Have a really super weekend. Happy Anniversary, keep blogging. I love seeing a post from you in my mailbox, I always make sure I have a cup of tea in hand to watch. Who does not enjoy watching you cook, I do wish we had a few more piano selections. Enjoy the next 10 years, I will. Oh Kevin I would love for you to come to sunny Florida I cN teach you all about golf! You scared me! How could you even think of retiring now that you have that gorgeous new kitchen to share with us! Silly me for believing you. Congratulations and Happy Anniversary. Love so many of your recipes, great garden tips, humor, and your pups. Thank you, Kevin. Happy Anniversary, Kevin! You have brightened so many lives. Thank you so much for what you do – past, present, and future! Congrats you devil you! May the force of the bic pen be with you always. Happiest of Days! We are moving back home and are looking forward to seeing your garden on open days! Don’t retire yet! I look forward to the blog every Sunday, thank you! Thank you for so many wonderful memories, Kevin. Happy days are yet ahead. You SCARED me! Yours is the only blog I read and I would truly miss it. Also, as I scrolled down I was thinking “he’ll hate Florida (I live here and I love it, but you have to learn an entirely new approach to gardening) and I’m pretty sure he won’t like golf”. Much to my relief you’re still going to be here, and I’ll still be trying your recipes and joining you on your garden tours. Thanks! I am so sorry to hear about Lily the Beagle. Such sad news. Thanks for sharing her with us….as well as your blog, pics, recipes and humor. You gave me quite a turn when you suggested you wer going to hang up your hat. Whew! I use MANY of your recipes and have evan adapted some of the sheet pan wonders for up to 35 people. My Sunday morning ritual is cream cheese, lox, capers and you. Happy 10th Anniversary! I have enjoyed reading your blog on your gardening and also tried your culinary recipes. Your first paragraph made my heart sink. So glad you were just kidding. Happy anniversary! I think I’ve been following you for nearly 10 years and look forward to your Sunday morning posts. I made my first successful loaf of bread following your recipe for challah bread and started my garden from seeds using your milk bottle method. Thanks for all the great recipes and gardening advise. Congratulations, 10 years! Wow ! We love you too !!!! I love your blogs. I’ve never commented before but when I read the line that you were going to stop I was so disappointed. Then I read the next line and saw that you were joking. Whew! I enjoy your photos and recipes and stories. Always enjoyable. A very Happy 10th Anniversary !!!!!!!!!! Thank you so much for all your wonderful recipies and tips. Thank you for your gardening advice. Thank you for sharing your home and home life . Thank you for your humour. Thank you for your beautiful photography. Thank you for the time you’ve invested in taking care to make such accurate and helpful videos. Thank you for your cookbook. Thank you for the $$$ you’ve invested for our education, enjoyment and benefit. Thank you for your companionship. Thank you for sharing your yesterday’s , today’s and tomorrow’s, your worries, tears, and celebrations. I might eventually run out of thank you’s but I will never run out of appreciation for you and how you have made my Sunday’s special, my cooking better and my love, respect and appreciation for how much of yourself – especially your heart, you’ve given to me and to your blog family. I love you for being YOU and for all you have given me. YOU are a treasure and wonderful gift. I discovered your blog last year and am really enjoying it! Love your recipes and gardening tips. Happy anniversary! Congratulations and happy anniversary! Thanks so much for all the happiness, good information and positive vibes you spread along with all of us. Here’s to wishing you many more! Happy anniversary Kevin!!!! I retired this year after 25 years of delivering for Fed Ex. It was the best descision I ever made. I now have time to enjoy your blog and use all the garden tips you post. I don’t do much cooking would rather spend my days in the garden. Thanks for all the tips you write about and please don’t quit now I need your ideas. Thanks for all of them!!! Thank you for your sense of humor, all your gardening secrets, and cooking recipes. Most of all thank you for letting us into your life, sharing your home and renovations. Congratulations to you. P.S. please play the piano for us again. Thanks for those 10 years of down to earth/sensible/practical gardening/cooking/house info. Dear Kevin: For a moment there I experienced a sense of loss to think I would no longer hear from you. I admire you and your energy and dedication to excellence in the way you’ve gained knowledge through the years about baking, cooking and gardening and then, shared it with us. I’ve learned from you. I’m so glad I found your blog- and that you’re not retiring from it. Congratulations and thank you for all you do to make the world a happier place. Happy Anniversary. Happy April Fools Day early. Happy Anniversary Kevin! I really enjoy reading your blog and looking at the pictures of your amazing home and life! Cheers to 10 or 20 or 30? more! You’re a good man “Charlie Brown” and not having you kicking around my kitchen and gardens(9) is a day without sunshine! every time I get soggy crust…what have I done wrong! Off for my daily crocus & snowdrop hunt….almost! Kevin, please stay terrific, the world needs a kind and gentle you. Kevin you had me for a minute and I was quite upset thinking of Sunday morning breakfast without you! Congratulations. Blogging is a real commitment and I bet I speak for most everyone: you bring happiness, and excellent ideas to all who happen your way. Have a terrific day and thank you. Congratulations, Kevin! You always touch my heart your wonderful blog entries. May there be many more anniversaries. Hi Kevin, How wonderful to celebrate with you! 10 years is a long time and look how far you have come. I look forward to sharing 10 more years with you – god willing! Every Sunday morning it is a treat to cozy up to your Blog with my coffee to see what’s happening in Kevin’s wonderful world. Congratulations, at 84 I agree, keep on going..when home repair, gardening, cooking, whatever become too much for the aging body…there is always something in life that is worth blogging. Disabled, in a wheekchair, no longer able to garden and too poor to afford a real gardener, and having to rely on mow, blow and go, no longer able to cook and entertain with my dinners….paper plates and delivered pizza, with friends works well…other joys in life manage to come along!!!! Having lived in a 3 storied, white Victorian House with black shutters on the banks of the .western section of the Charles River, I especially enjoy the restoration and maintenance of your treasured homestead! Darling boy! Keep ‘em coming FOREVER! You are a bright spot in this ol’ girl’s week! Love and great thanks! you tell us why color bowl of utinsel to use! Many congrats on your Anniversary! Happy Anniversary! Thank you for all you do. Happy Blogiversary, Kevin! Thanks for the great recipes and ideas. I hope you do another cookbook. I use yours all the time. I can honestly say, of all the posts and blogs I read, my favorite one comes on a Sunday, from you. I read every recipe and although I don’t fix every one of them, the ones I do try are most always great. You’re a fun guy to watch also! Happy Blogiversary from a fan in Oregon. Kevin, Happy 10th Anniversary !!!!! !I seriously can’t remember blog like without you. I’ve enjoyed the stories, the tutorials, great recipes, the wonderful photography, but most of all the sense of belonging. How wonderful for you, continued success! 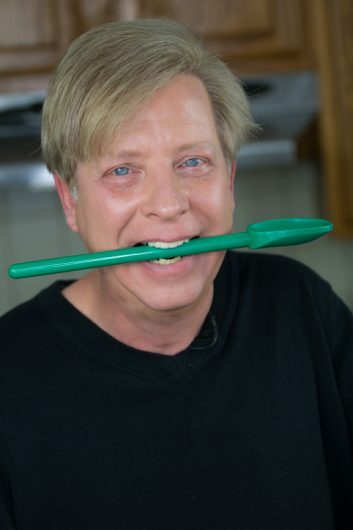 Your humorous remarks guarantee many smiles for many people – even those of us without a polka dotted spatula or some other “recommended” tool. Thank you for all you share – past, present and [looking forward to in the] future. Happy Anniversary, Kevin! I love your blog; it’s always like a visit with a good friend. I, too, have made many of your recipes — the popovers, your recent recipe for crepes, the wonderfully delicious and different plum cake from a few years ago, a recipe I shared with a cousin whose husband said it was the best cake he’d ever eaten! I live mostly vicariously through your gardening — in that I don’t work nearly as hard as you but enjoy reading what you do and seeing the photos. Thank you for bringing your world to us — always interesting, informative, friendly, and warm….even when you’re deep in snow and cold! Ten years goes by sooo fast ! I’m so glad that however I stumbled over your blog, I did and love everything about it ! Thanks Kevin and Happy Anniversary ! Happy 10th Anniversary! A decade of ideas, inspiration, recipes & a slice of your life. Thank you. Keep those gardening tips coming! My favorite articles you shared were of winter sowing seeds (works like a charm!) & propagating boxwood (slow growing, but successful). Cheers to another decade of inspirational blogging! 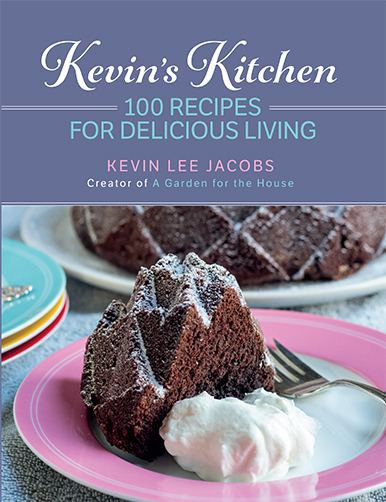 Kevin, I so enjoy your tours of your home, garden tips and recipes. Always look forward to see what you’re doing. You always bring a smile to my face. Your humor reminds me of another chef, someone you may of heard of,,,,Julia Child?? Adore you both,,,,,My husband is the master cook here, and cringes when I go into the kitchen. But he changed his tune when I made your Parsley Parmesan bread, which recipe I have shared many times. I will continue to look forward to your posts, your suggestions, and recipes. Thanks for what you do…. Congratulations on longevity……may there be many more blogs! Love everything in them, and the witty writing is delightful. This blog…it’s a good thing you were kidding about hanging it up! Without you and this blog, I would never have learned so much about African violets, and certainly wouldn’t have tried (and succeeded!) to propagate a violet myself. Your gardens are a true inspiration to me, and the death of your sweet Lily was yet another in the heart-breaks of our owning and losing our darling pets. I’m so glad you were only kidding about ending your blogging career. That would’ve been heart breaking, too. Happy Anniversary! Found you looking for gardening help and as a result have far fewer weeds (cardboard and newspaper). I use the cardboard dividers that Costco uses to divide their product stacks. I collect them all winter long. Love ur blog, love u and glad you’re NOT stopping. You better, NEVER, EVER STOP BLOGGING, KEVIN!! 🙂 Happy anniversary!! I’ve enjoyed your how to’s, recipes and your videos. The garden walks and home projects. The garden! Sharing pet stories, and saddened by Lily’s passing. Celebrating your published cookbook! I look forward to every Sunday to your email to see what you are up to next. Love you and keep on blogging!! Before I got to the jump, I was in shock and grief — too much to lose you, right after losing Mary Oliver and W S Merwin! Thank goodness it was one of those jokes of yours, that make reading your blog and watching your videos an experience far beyond your influence in my kitchen. You give us so much of yourself, and gratefully I wish you a real whoop-de-doo celebration of your 10-year landmark ! And many more I hope ! Happy Anniversary!…You and your blog make my Sunday…..I love the picture you have at the top of this blog….that’s exactly what I want to create on the shady North side of my house…..a stone path down a gentle slope with shade plants on either side and creeping ground cover amongst the stones…..BUT I don’t know how to get started…I don’t know what plants would look best…I don’t know whether to have a mass of different plants or a mass of all the same like Keven has created…..any ideas? Your ideas would be appreciated! I’m proud of you! And proud to be one of your Goupies!! Can you please have a live broadcast party where we can all have champagne together? I would bring an appetizer! Well, for 10 years your love has resonated and and I read it LOUD AND CLEAR! Happy, happy anniversary!!!! You really gave me a start when I read the first sentence! Keep on blogging till ya can’t blog no more! I’ve enjoyed reading your articles. Looked at your recipes. Envied your garden ;). This year will be the 1st year I’ll be able to have my own garden (we bought a house in August) and I’ve remembered the tips you’ve given. Can’t wait for fresh veggies!! Thank you so much for the information you share! Here’s to 10 more! Not sure how many years I have been reading your blogs but I now Winter Sow, cook decent meals, have a Raised garden and use newspapers and cardboard before mulching! It is reassuring that we know you have tried all the recipes, love them and give extra tips which come from experience. Wishing you many more years to continue your good work. I look forward to your post every week, Kevin. Love your garden, decor , and recipes! Oh Kevin – say it isn’t so?? At first I thought, oh no, he isn’t going to retire – what will I ever do now??? But, as I read further – you were just kidding. Happy anniversary too. Wee all love your down to earth “stuff” and great tips on gardening, cooking etc. Sooooo, please stay put for a while longer. Happy Anniversary, you amazing Blog God! Yours is the only blog I read/am interested in/notice when it doesn’t come to my in-box! I’m raising my glass, (cup of tea, actually), to you and your wonderful ability to connect with people everywhere. Dear Kevin, it wouldn’t be Sunday without YOU! Glad you’re staying on…. Happy Blogiversary, Kevin! Thanks for your big heart and generosity in sharing all of the information and your life with us. I am trying to remember how I came upon your site…. year unknown…..probably looking for a recipe!! I so enjoy receiving your weekly emails……..fun, humor and very informative and interesting to say the least!! Congratulations…..CHEERS!! And many THANKS!! Oh wow Kevin, I first thought you were about to close it down! So thankful you were only kidding! Sunday would not be the same without you. Happy, Happy Anniversary and thank you for all you put into your blog. Happy 10th Anniversary Kevin! You are a delight! Thank you for all the information you provide and the craziness that keeps us laughing. God Bless! Happy Anniversary Kevin! THanks for all the wonderful tales and recipes. 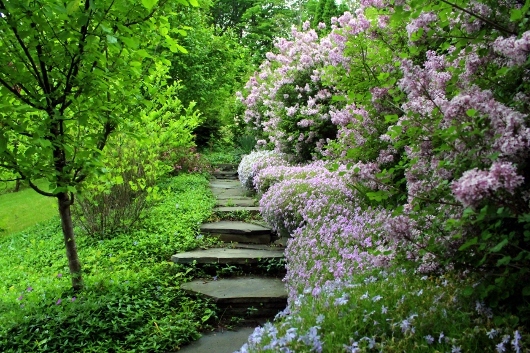 I enjoy the walks in your garden (via the internet) and seeing your beautiful home. Don’t stop it is a joy to be a part of this internet family. Comments . I’m looking forward to many more recipes & garden visits from you. Happy Blogiversary and many more! Thank you for all the great ideas especially winter sowing! I wept at the loss of Lily as I had just lost my little Phoebe. Thanks for sharing the good and the not so good. Happy Anniversary and so glad to know you will be continuing on with all you do. We have just in the last two days had grass reappear from under the 56.5″ of snow we got this winter. I can only see about 16″ X 15′ of garden in one bed, the rest are still covered in snow. We’re to have mid 50’s this next week, so lots more of that white stuff will melt away. I’m totally ready for Spring. It’s been a long winter, with the Polar Vortex, 40 days of zero or colder, three blasts of way below zero temps. and nasty wind chills of -40 to -65 F, snow, sleet, rain and thunder. I don’t have as many bulbs to bloom as I used to, thanks to the critters that eat them before they can open their petals, so I do enjoy looking at all your gardens have to offer. I bought your cookbook and have enjoyed picking out some recipes to make. They all look delicious. Again congrats and I so enjoy reading your offerings each Sunday. Congratulations Kevin! Although I feel I am a newcomer I enjoy the recipes you share as well as the construction and renovations and your beautiful gardens (that I am currently living vicariously through). Thank you for being so genuine! 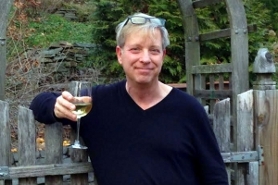 Congrats Kevin….please don’t ever stop blogging! your Potato Leek Soup is our standby for Christmas Lunch (with Pork Pie of course!) I introduced our family to this delicious soup last Thanksgiving and everyone mentioned how tasty and smooth it was! thanks for your creative cooking!!! After I read that first paragraph, before I got to the next line, I was like: WHAT? No! No! You gave me a scare. Happy Blogiversary. Still miss seeing Lily helping you in the kitchen. I love your blog. I love that you keep Celiacs in mind when you add gluten free recipes. Than you for being Kevin in the house! Hi Kevin, I love this recipe. Now I can make everything in 1 pan. I stumbled across Hoi Sin sauce back in the 70’s when I was making a Chinese dinner. Love this stuff. I often add it to stir fried veggies or fried rice dish right at the end. I love your recipes and all the gardening advice you have shared over the past years. Keep going. Never stop. Thank you! Sto lat niech zyje nam! My Sundays have been wonderfully garnished, my cooking adventures inspired, my gardens indoors and out thrive, and I continue to learn, smile, and pass on your links. Those foreign words are a Polish celebratory song…may you live a hundred years…and blog telepathically when it becomes possible. Congratulations and happy anniversary, Kevin! I’m so glad to have found your blog. I love the pictures and recipes, and you make me feel like family in all that you share with us : ) Thank you so much for giving me something to look forward to reading! There is not one thing I could add in the form of praise that has not already been expressed by others Kevin! Your remarkable style, wit and common sense approach to most everything is heartwarming to those of us who strive to be perfect but, too busy with work – life – family – rely on you to help us see the way. Happy Anniversary and may we still be reading, and being inspired by your blog in another 10-20-30-40-50 years! Whew! You had me scared there for a moment! Then came the relief of knowing that you are not giving up blogging after all! I don’t ready many blogs (in fact, any other blogs, really) and would miss yours a lot! Congratulations. As yours is the only blog I follow I would really miss you. Love your gardening tips and recipes especially the GF ones. You have encouraged me to try new things, take better care of my African violets and be a better gardener. I also love your cookbook. Keep up the good work, we need you and Happy Anniversary. Happy anniversary, Kevin! Thank you for doing what you do…sharing a bit of your life and the good things and not so good things with us. I always enjoy your posts. God bless you! Congratulations! I enjoy your blog very much. I read Rosemary Simpson’s comment, it brought tears to my eyes! Everything she expressed from her hart, is how WE all feel about you! Congratulations on your 10th Anniversary and many more to come. Like all the others before me, I look forward to my Sunday Morning blog from you, Kevin. I sip my coffee and enjoy my read. You have taught us so many great things about cooking and gardening. I have tried many of your recipes and loved them all. Always basic, fairly easy and especially wholesome food. Keep on tapping those keys and thank you. What a trip! I have soooooo enjoyed your blog, I almost lost my breath when it sounded like you were going to stop blogging! The world would be much worse without your wit, your great recipes and your lovely home coming to my email box. Though I have not been with you all ten years, it has been 6 or 7. You’ve taught me many things, about gardening and cooking and how to take care of my home, humble though it be (single wide mobile home). Your graciousness and generosity has been a blessing to me and I am sure many others. Thank you for your wonderful blog and thank you in advance for continuing to teach us many more things. We love you! Happy Blogiversary and thank goodness you’re still enjoying your creation, because I would miss you like a front tooth if you didn’t! Like Beth, I found you through winter sowing, and like everyone else who posted, I have learned so much from your blog and your cookbook. My favorite recipe is your black bean burgers, but I also love many others and love reading/watching all of them, as well as all of the gardening and house cleaning (especially your window washing) tips. Thank you!! A dear lady from a garden club I used to belong to, told me about you. She has passed away but I have been receiving your emails ever since. You are a constant reminder of her goodness. Besides, I love hearing about your life. If you are serious about Florida, temperature here today 55 at night and 80 now. (6:48 P.M. / 3/24/19 / and you can garden all year!! 🙂 . Let me know, I am a Realtor……. I love the way you explain in details all your recipies with pictures at every step. I also love your gardening tips and your witty sense of humour. I hope to be able to keep on reading your blog for many more years. Happy blogiversary Kevin! I loves your recipes; they are for ordinary folk like me. I loves your gardening tips; they are for ordinary gardeners like me. I love your love-for-life approach to living; it inspires me to be the best I can be in my kitchen, in my garden and how I approach people …. and animals and plants. From your reverence for life to your lime green mixing bowl humor, you are my Sunday morning staple. Thank you for being you, so I can work on being a better me. When first reading your message, I thought OH NO!!!! He MUST be kidding! Glad you were as I love everything about your blog: your recipes with photos and detailed directions, your house, your animals, your gardening and cleaning tips…..and your humor! Congrats on your 10 years of blogging and I look forward to many more from you. WHEW ! I’m glad you’re kidding bc you’re my favorite guru guy…..I can research all I want, but I ask Kevin if I’m not really sure what I should do. Like, for instance, you told me about French polishing. I read that article and I thought you were off your rocker. But, I tried a form of French polishing, whipped up my own batch and I don’t think I’ll ever go back to brush on topcoat unless I’m doing a painted surface. Congrats on your 10 years, with many more years to come! lease continue sharing all your wonderful recipes and hints for gardening and homecare We all love you. Happy anniversary. And thank you for the good tips and your entertaining blog! Charlotte A Canadian Neighbour. Hi Kevin Congratulations on 10 years of Bloging.. Yes It would be nice to retire But keep those blogs coming. All the articles are so great. I’m always waiting for the next one. Your are so down to earth and welcoming & a gentle soul . TakeCare & Good Health to You & Your’s. Here’s to ten years of great posts. My favorites are your perfect tart crust and lo carb pancakes. They are printed and live in my recipe file with my other favorites! I look forward to your posts, so keep up the great writing. Kevin, Well, I’m adding comment #131. I’m sure there will be many to follow yet. Are you convinced just how appreciated you are? I love your recipes, your humor, your DIY creativity, and your gardening tips. Oh, and I like your animal friends. Happy Anniversary. And thank you for continuing to Blog. (You gave me a scare for a second.) I count on your recipes and love you garden ideas. Thank you for continuing. Congratulations and thank you for the wonderful recipes, gardening tips and the witty person that you are! Congrats on 10 years, look forward to your blog every Sunday. I have tried many of your recipes and have had much success. Here’s to 10 more!!! HAPPY ANNIVERSARY! I love reading your blogs. I look forward for each and every one. Thank goodness it is finally spring ( had snow showers the other day), but then again it is March. Keep up the great blogs! Happy Anniversary to you! I wanted to let you know how much I enjoy your blogs and your recipes. My heart sank – and then the rest of the post loaded 🙂 Congratulations on all your accomplishments. I am so glad you are not ready to retire – because I am not ready to stop reading your posts and watching your videos! You have been such an inspiration, I love your recipes, your videos, your humor, your cookbook, and the glimpses into your life. I still miss Lily, but adore Avery. You inspired us to take a road trip from SE PA up to visit your house and gardens – we still talk about it. Thank you so much for everything and for giving so much of yourself. Life is better because of you. So glad we can look forward to many more years of your blog. I’ve gardened in England, New Jersey, North Africa, Italy, Puerto Rico and finally Florida. I even became a Master Gardener 12 years ago to try and help make that passionate part of my life go little smoother as gardening in Florida isn’t easy. No-one told me it was basically a big, diverse sandbox ! Phew! You had me going for a minute! Happy Anniversary Kevin!! I will join all the others and say how thankful I am that you were just kidding about retiring! Thank you for your wonderful and interesting blog. You are an amazing person and I am so glad to have found your blog years ago. Congratulations – what a wonderful milestone. I really enjoy keeping up with your delightful blog. Have been winter sowing – which I learned from YOU. Have made many of your recipes standards in my household much to the delight of guests. Please continue as long as you can. I retired then realized I really missed my profession. I just reshaped it a bit and used my knowledge in new and interesting ways. The schedule is more flexible and you now do it totally for FUN!!! Have a wonderful week. Happy Anniversary Kevin!!!!!! So very glad that I found You and Your wonderful recipes and Beautiful Gardens, etc. Thank You for allowing all of us to enjoy your life. Happy Anniversary Kevin! I found your blog this year and have been enjoying not only reading it and trying out the recipes which all seem to work well in my kitchen and for my family, but have learned to transform my garden and even the weathered doors on my little cottage house. Love the way you entertain us with your delightful humor and grateful that you share so willingly but also give us a printable recipe to follow your creations. Enjoy and don’t hang up the blog. I was so relieved when I saw that you were just kidding about that. Thank you for many yummy meals. News of your blog anniversary reached me while visiting in Charleston where my husband & I stayed at the Market Pavilion per your recommendation and where we ate at 2 restaurants you mentioned. So, you were very “top of mind”. I am so thankful for all that your blog shares with me. Truly. Am now awaiting your chuck roast recipe to finish cooking in my Instant Pot for wonderful Sunday dinner! I recently let all members of my Garden Club know of you by writing in our newsletter – telling folks about you and what you do and your blog and adding: “Kevin has a lovely ‘down home’ way about him and a fine sense of humor too. I hope you enjoy his newsletter as much as I do! Avery is a lovely dog (although I truly miss sweet Lily the Beagle). I love your tours and recipes so much – your gorgeous window garden inspired me to create one! You had me for a second when you said you were going to ‘hang up your hat’. I’m so relieved you’re kidding!!! I’m still clearing my beds to prepare for spring planting. Only the areas with bulbs have been cleared so far. I am a beginning blogger and you were the first blogger to inspire me a few years ago when I started toying with the idea. Thank you and congratulations on TEN YEARS of beautiful, quality blogging!